Being the senior citizen that I am, I can remember when, "back in the day," THE heavy duty flashlight carried by police officers and firefighters everywhere was a Mag-Lite ... typically, a 5-cell flashlight that could probably be used as a baseball bat in a pinch. But that was a long time ago. Technology advanced, and it seemed for a long time that Mag Instrument Company just wasn't keeping up. Their Krypton (incandescent) bulbs, which had seemed so much brighter than anything else way back when, paled in comparison to modern LED lights. I have always kept a couple of Mag-Lites in accessible locations in the house, which is important because we lose power on occasion, and I also maintain one in each of our vehicles. 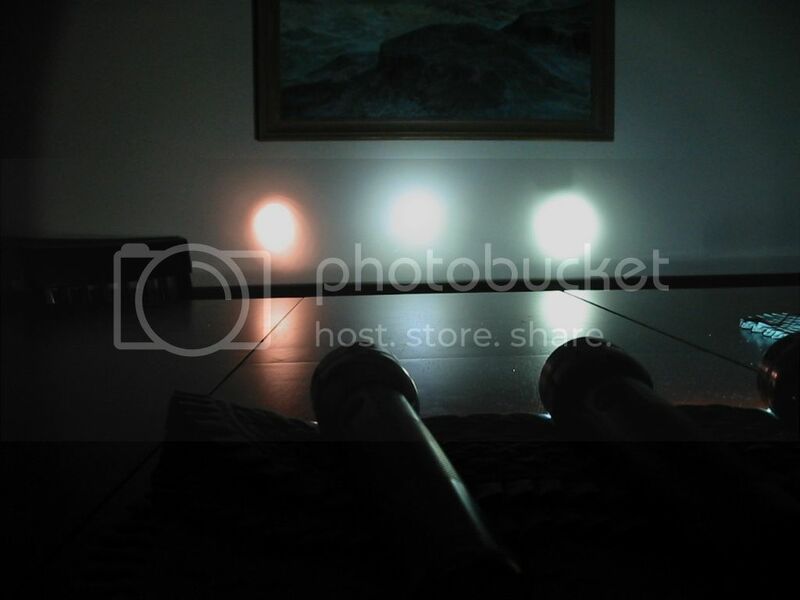 I thought we were well-equipped with this array of candlepower, until a recent power outage a couple of months ago. A storm knocked down the power wires feeding the manse, and the repair crew didn't arrive until after 10:00 p.m.. Our power line doesn't take a direct path from the street to the house, but rather runs along a side property line for the span of two poles and then makes a right-angle turn to head over to the service entrance on the end of the house. So I went out with the lead man on the repair crew to show him where the lines ran, and where they were down. I was carrying a 3-D-cell Mag-Lite ... and I was totally astonished at how much brighter the repair man's similar-appearing Mag-Lite was than mine. I asked him what the secret was, and he said it was a new LED model that Mag Instrument Company had just come out with. I was impressed so, once the power (and Internet) was restored, I started researching this new wonder of modern technology. What I learned was that Mag Instrument Company had introduced LED versions of most of their lights a couple of years ago. They are readily available at hardware stores, Home Depot, Lowe's, and even Wal-Mart. But they are pricey, typically costing about $30 for a 2-cell or 3-cell light. Since I already own a significant number of perfectly good (if relatively dim) Mag-Lites, I went looking for a way to upgrade what I already have. My Internet search provided links to a number of articles about LED upgrades offered by Mag Instrument Company for their older lights but, when I went to the company's web site, I found no mention of the upgrade modules. 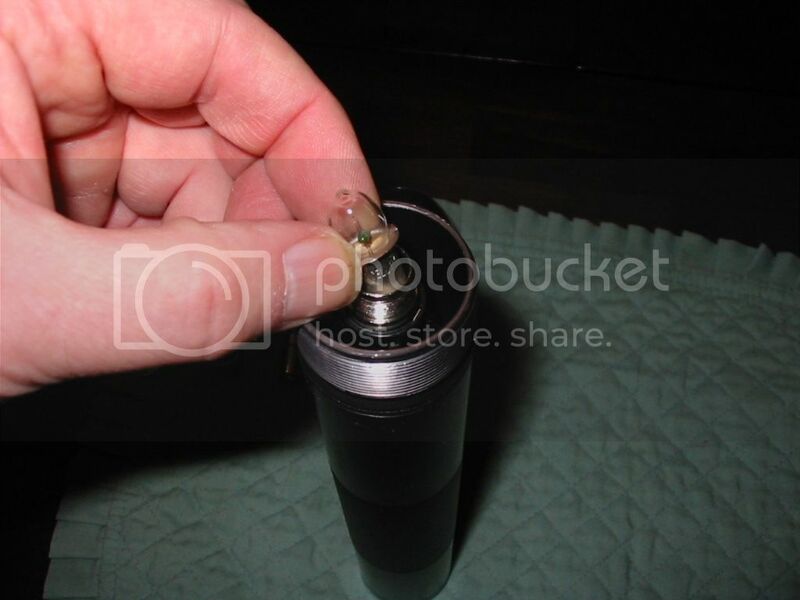 I fired off an e-mail to Customer Service, and a couple of days later I received a reply informing me that Mag Instrument Company had discontinued the LED upgrades. However, they kindly informed me that they would be happy to sell me as many new LED Mag-Lites as I might want or need. I was not a happy camper. There was nothing wrong with my old Mag-Lites, they just weren't as bright as the new ones. I don't endorse a throw-away society, and I confess that it irritated and angered me that Mag Instrument Company cavalierly expected me to just scrap over a hundred dollars worth of their flashlights and replace them to the tune of close to $200 rather than sell me upgrades. My guess is that the company decided they could make more money trying to force people to buy new flashlights than they thought they would earn selling upgrade modules. So, despite dire warnings from Mag Instrument that LED conversion modules from other companies would void the warranty on my Mag-Lites, I went searching for aftermarket LED modules. What I found was a company called TerraLUX. They offer a line of affordable LED modules, some designed specifically for Mag-Lites and some designed to replace the incandescent bulb in any flashlight. I fired off an order and sat back to wait. A few days later, the big brown truck brought me a care package, and I immediately set out to test the new LED modules. The modules specific to Mag-Lites are rated at 3 watts and 140 lumens, and there are different models depending on how many batteries your Mag-Llite uses. Mine are all 2-cell and 3-cell, and the same module fits both. There is a different LED module for upgrading 4-cell and 5-cell Maglites. 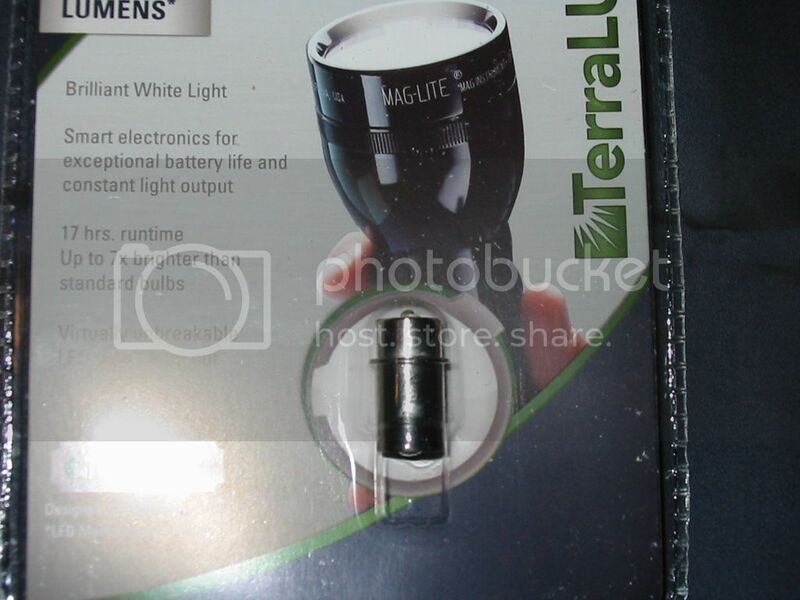 There is also a 1-watt, 50 lumen "universal" module that TerraLUX says will replace the original bulb in any flashlight from 2 to 9 volts and using from 2 to 9 batteries. 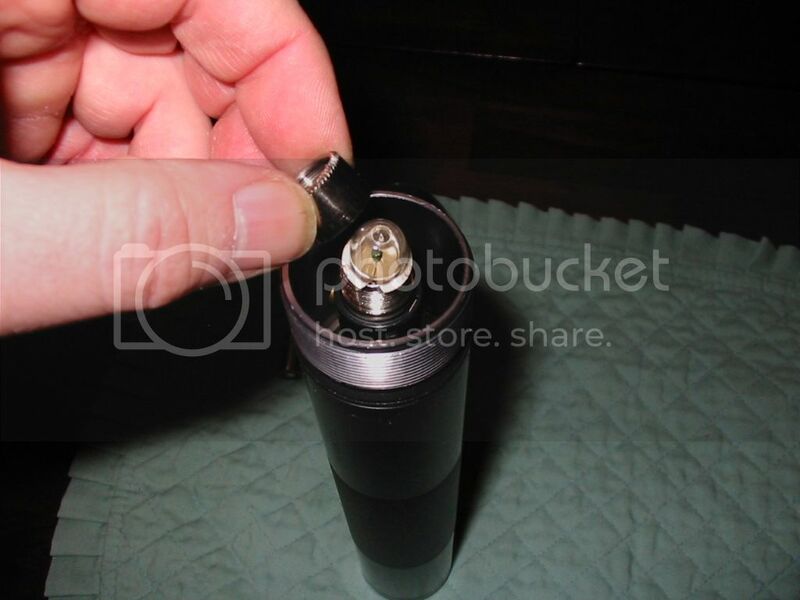 Installation is about as simple as it can be ... exactly the same as replacing the standard bulb. And then reassemble in reverse order. That's all there is to it. The conversion takes longer to describe than it does to perform. Initially, I converted one 3-cell Mag-Lite using the 3-watt LED module and a 2-cell Mag-Lite using the 1-watt (universal) module. 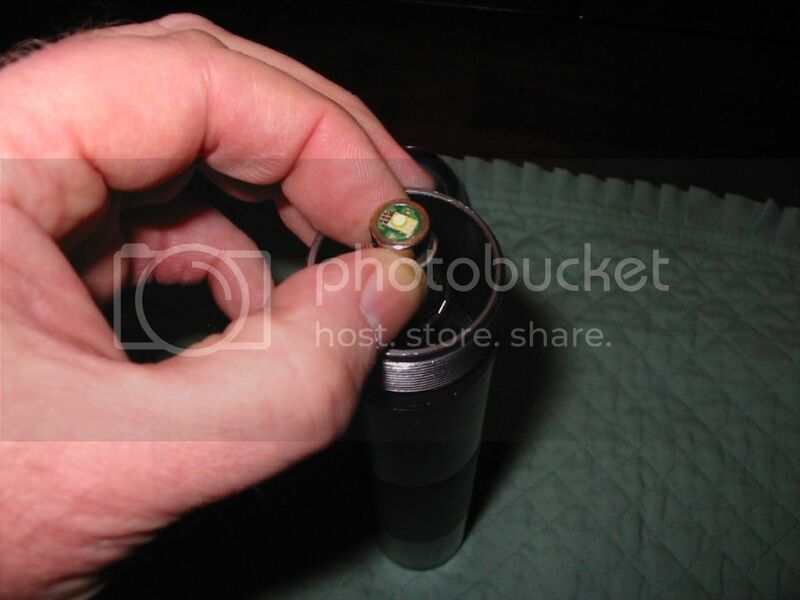 I was extremely pleased at the results using the 3-watt module in the 3-cell Mag-Lite. The beam is a brilliant, white light that focuses well and, when focused into a beam rather than a flood (the only way I use Mag-Lites) easily reaches from the house to the street. The old Krypton bulb (to severely abuse a hackneyed phrase) "can't hold a candle" to the new LED module. In fact, it is far brighter and whiter than the beam generated by a standard 6-volt work lantern. I was less favorably impressed by the results with the 1-watt module. The light isn't pure white; it seems to break down into matches or areas of white, blue and yellow. Worse, I wasn't able to focus the light into a tight beam. It is brighter than the original Krypton bulb, but disappointing compared to the 3-watt conversion. I was satisfied enough that I immediately ordered enough additional 3-watt modules to convert all our Mag-Lites. When the second shipment arrived and I installed the new LEDS, I received a surprise. I didn't like the 1-watt module in the 2-cell Mag-Lite in which I had installed it, so I replaced it with a 3-watt unit. To my surprise, I was unable to focus the light to a beam. I was left with a white circle with a dark void in the center. This was not the case when I installed another 3-watt unit in another 2-cell Mag-Lite. Consequently, I removed the 3-watt module and reinstalled the 1-watt LED. It isn't quite what I had hoped for but it is far superior to the original Krypton bulb. My plan had been to use the 1-watt LED module in a 2-C-cell Mag-Lite that stays in my wife's car. Since that didn't work out, instead I installed the remaining 3-watt module in the C-cell Mag-Lite, and the results were as stunning as the two 3-D-cell conversions. The beam is crisp, white, and focuses perfectly into a tight spot that easily carries all the way out to the street -- a distance of approximately 250 feet. I regret that I have no way to measure the actual output of the LED conversion modules, so I cannot verify the claimed lumen output. I can report that the converted 3-cell Mag-Lite appears to be fully equal to Mag's new LED Mag-Lite. 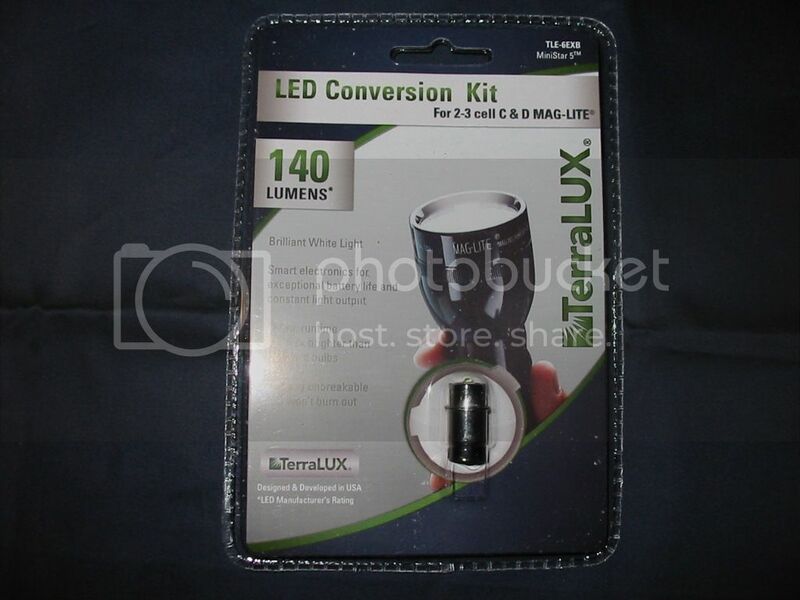 It should be noted that use of either of these LED conversions will void the lifetime warranty on a Mag-Lite. From articles I read when researching the conversion, it appears that heat is the issue. 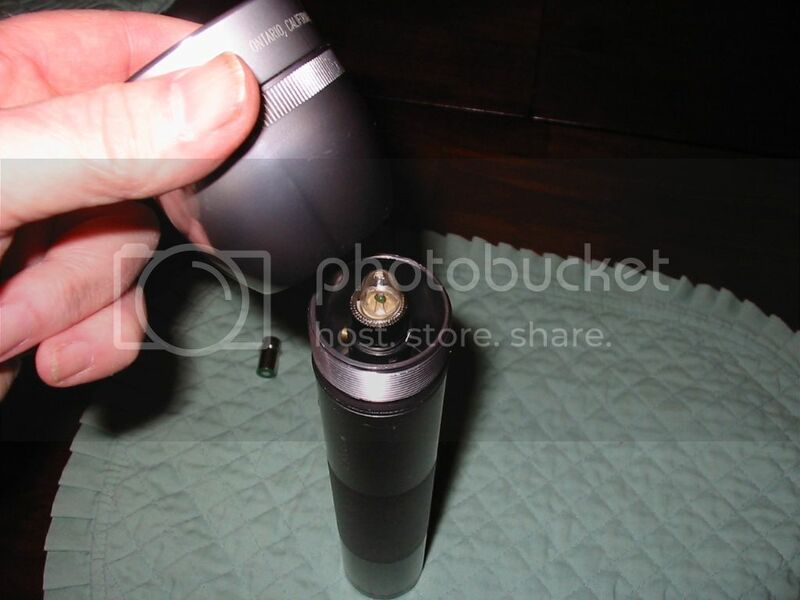 It is apparently possible that prolonged run times may result in the LED getting hot enough to damage the flashlight. I can't remember ever using one of my flashlights for an extended run time, so this is a risk I am willing to take. Readers contemplating this conversion should take into consideration their own use patterns. An additional benefit of the conversion is significantly extended battery life. The descriptive card in the blister pack with the 3-watt conversion module says the battery life with the LED is 17 hours. The card with the 1-watt module simply says it will significantly extend battery life, but it doesn't offer any specific claims. Given that it can be used in a wide range of lights, the results are likely too variable to cite. The price I paid for the 3-watt units was $14.95, and the 1-watt module cost $12.95. Prices vary depending on source, so anyone wishing to pursue this upgrade should check several vendors to find the best current price. You may discuss the subject of this article in our Forums Site.